written by H J Bidwell, MVO. 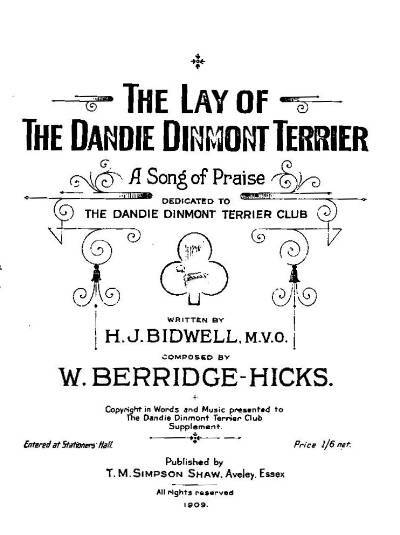 dedicated to the Dandie Dinmont Terrier Club and presented to The Supplement, 1909. If anyone with a good voice would like to sing this for a recording for the club, please get in touch.